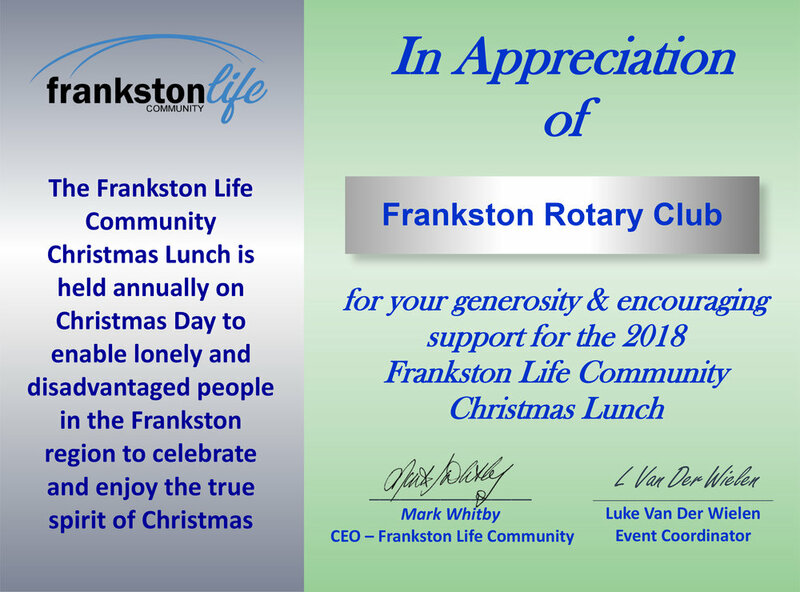 Frankston Community Life raised funds to provide Christmas Lunch to 450 disadvantaged families and the homeless at the Frankston Arts Centre. They approached us for a donation, we donated $500 to what was a successful gathering and lunch where a volunteer team of 150 planned, cooked, served and entertained on the day. We were proud to contribute our support for the day.